Bottom line matters. And bottom line today is about keeping overheads down, whilst maintaining the skill set. Calm People can audit the stress levels, apply the appropriate programmes to the most stressed areas, and show clear impact measurement (see case studies). We will show you how to handle conflict, stress, and unhealthy emotional responses which will build your teams and show your staff you value their contribution. The courses can be run in-house, in half day / full day sessions, or off-site to suit your business needs. If we want the most skilled people in our organisations to stay, we have to ensure they have the RESILIENCE to handle the pressure. 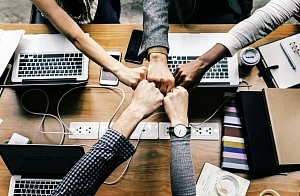 However many technical and professional skills they have, if they can’t resolve conflict, keep a perspective, and look after their inner resources, you will have presenteeism, high sickness rates, and poor retention of your most valued resource. 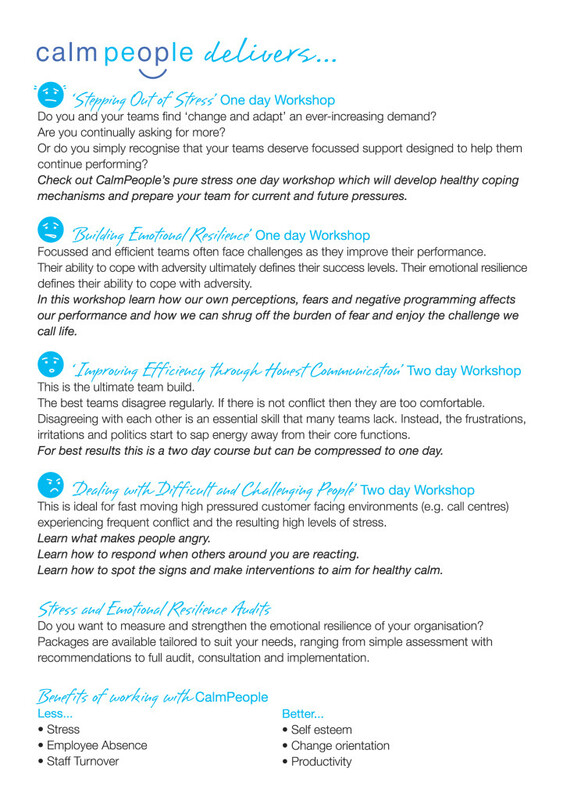 A 2 day workshop for teams or individuals working in VUCA Environments. This workshop delivers the essential emotional self-care skills combined with practical tactics and strategies for working with others in a volatile, uncertain, complex and ambiguous environment.